Guys I have received a new update for my WW version. It's around 13.13 Mb. It's fixes the battery issue. I'm downloading now. just used it for about 2 month, nothing happen, just nice, best performance, sometimes i didnt charged my phone for 2 days. great. I just bought this phone last night and now im trying to update this to KITKAT but unfortunately it didnt. 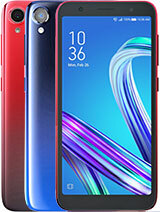 As i read your post here pepz, you said that the ASUS team removed the KITKAT because of the battery issues and other malfunctions. So you think guys they will put KITKAT back but a much better performance or is it forever remove? So far the phone is really good..
zaman, 06 Oct 2014why i cant use calling on facebook messenger and skype is also not working properly,,, i have ... moreI have troubles on facebook messanger app. I cant even make a free call from facebook messanger. Is there anyone who can help me? 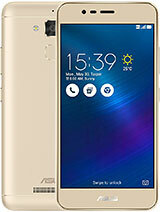 sorry to ask, can i charge the zenfone 5 without turn off the phone? The phone itself has no issues, everything works smoothly, the only downside to it is that "sometimes" the battery drains fast, other times it would last a whole day with no urgent need for charging. Like you, I don't use my phone for anything heavier than playing videos as I'm no fan of phone games myself. I also noticed that the flash "may" not always coordinate properly with the camera while taking pictures at low lit areas, however I heard there was a fix for it, although I'm not sure if there's an app to fix it now, however you can probably search that up. So from my experience so far it's great and that's all that I found slightly inappropriate. But then again you will probably find this dude to be a good friend, hahaha. AnonD-314939, 07 Oct 2014Tomazz i hope you must be the only guy on earth who is having battery of one day or more after... moreJainbull, Mostly Service center guys are untrained. They just follow text book processors. So it might had happened that service center guy messed up your rom info just like Bios in Computers. If that happened then there is no way your board can be repaired, it can only be reformatted at factory in Taiwan/China. The good thing is you're getting replacement, so just calm dowm and wait for the replacement to arrive. AnonD-314939, 07 Oct 2014Tomazz i hope you must be the only guy on earth who is having battery of one day or more after... moreI fully agree with you. 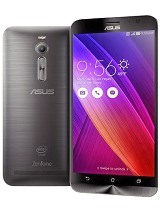 And that seems what Asus was trying to do with ZenUI, bring simplicity. Unlike many of other vendors, most "cheeky" features that others leave on were intentionally disabled, which saved some frustration, but at the same time, JB to KK is still a full OS replacement and many things can go wrong. I do hope that a better upgrade process gets dreamed up that fixes this utter fiasco. 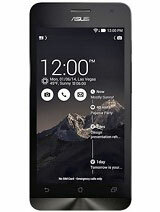 As for the formatter board - the Zenfones (and new Padfones) are built like Legos. So if they put the same version of formatter board (meaning one for A501CG TOOJ) you will be fine - only thing is that the IMEI will change. Not sure if your centre is able to reset it to your previous one. So if centre is half competent, this should be 20 minutes job, hopefully followed by a re-flash of the stock firmware (if not already loaded) and a diagnostic check. That firmware caused the formatter board to fail… that part I do not buy. Maybe the guy toasted the OS partition and could no longer access it, and blamed it on KitKat instead? Anyway, the good part, at least, is that they accepted this as Asus problem and are replacing the part for you. Had that been some unnamed other Chinese brand, they might blame it on Google and ask you to pay for service. i am using android phones from last five years never has this happened that due to an update motherboard has become faulty.Apps get upgraded automatically when one moves from 4.3 to 4.4 and i have done that on my other phones. 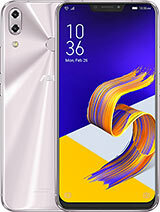 Secondly most people here in India or even in your country do not know how to fully utilize even simple features of android phones.Every one is not a techno geek like you,so most of them follow what company gives them on their phone blindly. When presumably Asus is acknowledging the mistake than why are you not ready to acknowledge. 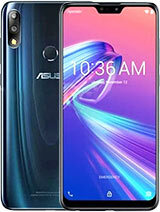 Root/non root,linkages etc are not a part & parcel of common man using Asus or any other android phone. 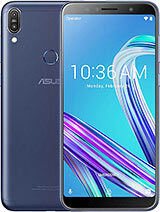 Last and finally kindly advise me will the motherboard replacement in asus zenfone 5 solve my problem and make my phone as new as it was while un-boxing.Will it create any further issues as it will not be assembled in factory but authorised service centre of my city. AnonD-316185, 07 Oct 2014Mikkan, You have to fastboot recovery.img first before downgrading to 1.18.40.9 Otherwise you ... moreMuch better way. AnonD-279813, 07 Oct 2014Watch first part of this video on how to root and downgrade to 1.14. http://www.youtube.com... moreTomazz, That video is about from downgrading to WW from TW/CN not from Kitkat to Jellybean. that guy copied WW's CSC files to TW/CN firmware via root to fool SKU so it can be downgraded. AnonD-292829, 07 Oct 2014Hi Tomazz, I want to get down to 1.18.40.9. But my earlier attempts to do a adb sideload was... moreWatch first part of this video on how to root and downgrade to 1.14. Then load whatever other firmware you want in entirety, not OTA. AnonD-292829, 07 Oct 2014Hi Tomazz, I want to get down to 1.18.40.9. But my earlier attempts to do a adb sideload was... moreMikkan, You have to fastboot recovery.img first before downgrading to 1.18.40.9 Otherwise you will get "getprop("ro.build.asus.sku") == 'WW'" error. I want to get down to 1.18.40.9. But my earlier attempts to do a adb sideload was failure when I was trying to a downgrade.Can you pl confirm whether ,on a normal course,I can just use the complete 1.18.40.9 zip file and do adb sideload? 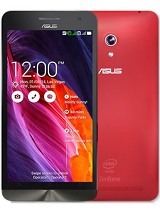 AnonD-303138, 07 Oct 2014Asus has withdrawn the kit Kat updates ? The version 2.19 updates are not seen there now and o... moreYes, both 1.18.40.10 and 2.19.40.6 were removed, both from download site and from FOTA. 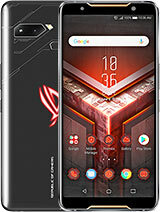 The reason is the many complaints received, since the previously installed apps and settings break the KitKat after it is installed, and Asus does not want to ask users to do a full system overwrite like some of the other brands. Eventually that's what is most likely to happen. I was asked to remove my KitKat update, which I am considering, given the number of complaints in this forum, but then again - if users follow the instructions I've posted in here several times, the order and which files to use, even rooted phones can be brought to perfect order. That said - anyone wanting to use my files is doing so at his or her own risk, so make a backup to gmail account, and do a recovery when done, if there is any issue after upgrade. That is the battery status after 1 day and 10 hours or so. And next is the firmware version, so I'm not accused of using JellyBean. I got my zenfone 5, 2 weeks ago and updated it to the last small update before kitkat and all is good even the battery. I play nba2k14 every day and the cpu are not getting hot. Lucky me I didn't update to kitkat when it got released. 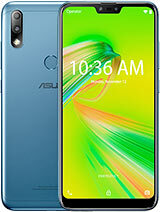 My advise it to stay on the JB until Asus fix the firmware. Can anyone please state the whole steps of upgrading to kitkat (with every little thing) ThnQ.